1 male left and ready to go now with vaccines, de-worming, vet check, revolution treatment and puppy pack. 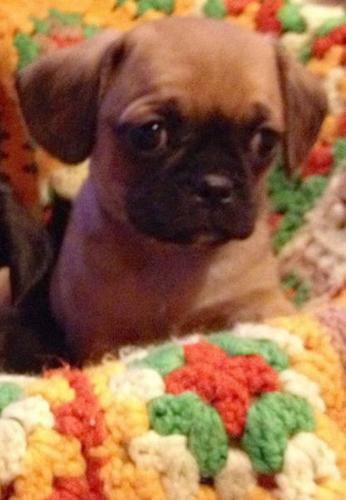 Looks like a puggle only smaller and quieter. Well socialized little boy that will make a great family pet!